Today is a two post day, go here to read about the Duchess of Cornwall at the Sandringham Flower Show. This morning, Kensington Palace released a message of support from Kate Middleton to the Anna Freud Centre on the release of their podcast series about children’s mental health. 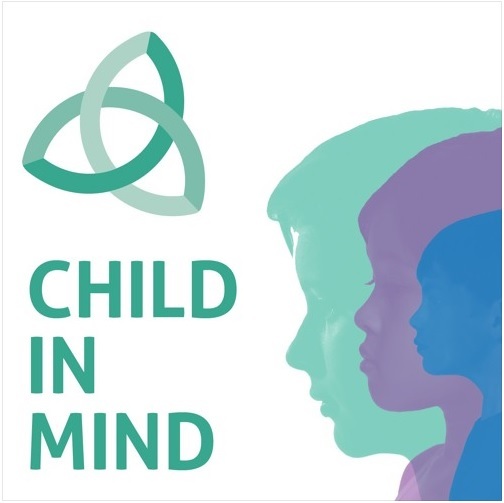 The 20-minute per episode podcast series is called Child in Mind and features BBC Radio 4 presenter Claudia Hammond discussing an important issue in child and family mental health with an expert and a young person or parent. The series aims to help parents understand and manage child and family mental health problems by not only giving them expert advice but allowing real parents to ask experts real questions. The first episode is about anxiety and is available now. The series is available at iTunes here (though for me it’s saying there are 0 items available), and on Soundcloud here (though it’s saying the anxiety episode is a month old, and it has more than just this series on there). “One in three adults still say they would be embarrassed to seek help for their child’s mental health. No parent would fail to call the doctor if their child developed a fever, yet some children are tackling tough times without the support that can help them because the adults in their life are scared to ask. It doesn’t need to be like this. “Throughout my work with family and child support organisations, one thing that has stood out to me time and again is that getting early support for a child who is struggling to cope is the best possible thing we can do to help our children as they grow up. Knowing this, both William and I feel very strongly that we wouldn’t hesitate to get expert support for George and Charlotte if they need it. “I hope that this excellent series of podcasts by the Anna Freud Centre will go some way to help families overcome that fear of what happens next if they look for professional support. They illustrate that many of the therapies are actually very simple and practical steps that include the whole family to help children make sense of the world around them. They show how with the right help, children have a good chance of overcoming their issues while they are still young, and can have the bright future they deserve. To any parent embarrassed to get your child mental health help: It’s not about you. As far as Kate’s message is concerned: that second paragraph is filled with all her go-to lines. The dropping of a podcast series isn’t really an event type thing so I think a message of support, rather than a visit and a speech, is fine here (though a visit and speech would get more attention than just the message of support). It’s good that she’s calling attention to this series. I really like the idea of this podcast and I hope it helps people. “[S]ources in Canada have told The Mail on Sunday that a ‘family-friendly’ programme is currently being co-ordinated between Kensington Palace and the Department of Canadian Heritage. A source said: ‘We are told the children are coming and the itinerary is being co-ordinated accordingly. There will be a heavy focus on nature, the outdoors and at least one private day factored into the trip. We’re hearing hiking, walking and outdoor pursuits will feature while the family is in British Columbia.’ It is also understood that Prince William would like to take George fishing. Huh. I mean, sure. I hope there is more than just a bunch of fun, outdoorsy, vacation events. You can focus on nature and the outdoors while still promoting an organization or a cause, and not just enjoying nature. I hope they actually focus on more than William wanting to take George fishing. Hi everybody. KMR, because I am taking care of my mother I did not see the blog much this week, but I wanted to say I LOVED your interview. Wonderful. About Kate’s message, at least she’s “doing” something for the cause, even if it is easiest thing of all, delivering a message. And the tour of Canada with the children, it sounds more like a family vacation. I think how they are with the kids they will avoid many official engagements, because as we know they are “hands on parents and can not stay away from children”. P.S: If you allow me I would like to give you some advice, KMR. Recently we discussed a post about Harry based on a report of The Sun (that one of Harry’s cousin’s wedding). I love Harry and I am aware of his flaws. But I tell you dear KMR, NEVER make a post based on a report of The Sun, they have no credibility whatsoever. The same I tell about Globe magazine. The Globe is even worse than the Sun, they are always creating the wildest (and fake) stories, they have said that Diana was alive, the Queen has a few months to live and still insist that the Queen took Charles’s out of the line of succession and William will be king after her (which is not legally possible). I give this advice not to see this wonderful blog turned into a debate room based on fraudulent publications. Have a good day everybody. Sending best wishes to your mother, Jamel. Hello Jamel: It’s nice to see you posting again. I’m so sorry to read of your mother’s illness, and I hope she’s back on the road to recovery. Please remember to be kind to yourself also. Being a caregiver is mentally and physically tiresome. Take care. Yes, Jamel, please know that my thoughts are with you and your mom. Taking care of someone who is ill can be very exhausting, as Vonnie said. I also hope you are finding time for yourself and not becoming burned out. Please take care and know what a delightful presence you have here. Hi Jamel. I hope you and your mother are doing well. I feel like they just don’t get it. I’m glad that Kate supports children’s mental health but when she’s so uninvolved, why should anyone respect or listen to what she has to say when she drops these lines, especially lines that are repeated over and again. I hope attention is drawn to this problem and someone benefits from this podcast series. The one in three data is staggering! And yes you are right when you write children’s mental health is not about the adult!! Same with the tour. Is it going to be hiking and fishing and no one can watch? What’s the point? I guess time will tell but I’m thinking bringing the kids will be a worse debacle than India in terms of their leave me alone time. But who knows, maybe we will be surprised and they will be generous and thoughtful. I totally believe they are going to just hang out and do outdoor stuff. I don’t know that the first trip there was deep look into Canadian society. Pretty sure I remember a boat race and rodeo. Entitled lazy bill & cat middleton can’t be bother with the regular people, and are not even pretending anymore. I didn’t follow the first Canada tour that closely but I do remember them doing some sort of race where they raced each other? And I do remember the rodeo because I remember being annoyed that they wore cowboy hats because I, as someone who has competed in Western riding and worn a cowboy hat and been around people who wore cowboy hats as more than just a fashion statement, found their wearing of them patronizing – like they were playing dress up. That was the Calgary Stampede. It’s a grand exhibition over here. Wearing cowboy hats is part of the ‘culture’ of attending the event. I know for few people here in Canada, it’s a Bucket List item for them. Ho hum – another jolly with this time the kids added in. The Canadians will pay through the nose for this. Add one or two photo ops of the next generation in pink and blue …. Ugh! Don’t remind me. At least they’re gonna be far away from Toronto. And maybe they’ll be here the week I’m in London. I get to see London without them ther and don’t hafta deal with the hoop la about them here. Win-win for me! KMR, to play the podcast, just click ‘Subscribe’ on the left hand side of the page. It plays from there, and is 23 minutes long. If Kate’s message brings an audience to the podcast series, then it will have done some good. I do bristle, however, when she talks of ‘my work’ because I don’t believe Kate does any work except the occasional visit and video/audio message. And to prove my claim, the same old phrases are trotted out. I read somewhere that Canadians were unhappy with another royal tour on top of C+C in 2014, E+S in 2016, and this will be the second time for W+K; the only redeeming feature, it was reported, would be if the children accompanied their parents. And so they are. The part of Canada being visited does suggest another royal holiday dressed up as duty, courtesy of Canadian taxpayers. Taking very small children in tow will underline the holiday aspect. With regard to Katie Nichol’s article, the ‘royals’ will get freebies as long as people provide them with such, thinking there is something in it for themselves ie friendship, business and/or proximity to power. So far, I haven’t heard much about their tour. There’s no hype about it. The last time they were here everyone was talking about it. Now, not much. But I’m in Toronto and their trip is supposedly in the west coast. So who knows, maybe there’s more hype there. The chances that a written message was actually written by Kate is virtually nil. How many actual minutes has she spent in the presence of children at these facilities. I am sorry but you don’t work in this area if you have attended for a total of a few hours. It is pretty disgraceful to even pretend that. And while I don’t want to be mean, I find it very hypocritical for Kate to pretend like she knows how to deal with mental health issues for anyone when her physical appearance has drastically altered since her marriage to Will, and it’s obvious there are problems going on there that she is not properly handling. So don’t start telling parents how to deal with issues when you can’t even handle your own. Harry has at least spoken about the trauma he has dealt with in addition to actually being seen with children and others so he has a bit more credibility. But mental health issues are serious and it really shouldn’t be a topic for hypocritical dilettantes like Will and Kate. Stick with Sir Ben and sports for now until your own issues are under control. As for the Canadian vacation, I am really annoyed with Justin Trudeau for inviting them. I don’t want to pay for these useless aristocrats in any form. I suspect the Canadian public won’t care that much about them, even with the kids in tow. Sure the monarchists will show up, but they are a small number and slowly fading away. Canadians aren’t a huge fan of Charles, even if he does work more than Will, and I won’t be surprised when there will be a strong push to remove the British monarchy as symbolic head of state once the Queen passes. That’s all they are anyway at this point since the repatriation of the Constitution in 1982 thanks to Justin’s dad Pierre. Canadians are far more multicultural now than ever and so many don’t have any ancestral ties to the British and since Will and Kate are like Kardashians anyway, why do we care if they visit. Harry caused a stir in Toronto because of Invictus, but that is because of his personality and charisma. I will be interested though to see how boring Will and Kate look compared to Justin and his wife Sophie. Justin has charisma and knows how to work the press, hence some calling him PM Selfie. Sophie was a journalist up until Justin started running for MP and to she is very intelligent and sincere with an interesting sense of style. I suspect Will and Kate will look like dullards compared to those two. Even though Justin’s father was PM and sometimes he is called Canada’s royalty, he still had to earn his way into the job. He actually held jobs before running as MP and while we don’t always like politicians, they actually work quite hard compared any monarchy. They have to deal with things 24/7 and if they don’t do a good job, they are not elected again. If there is entitlement coming from Justin, the press hasn’t found it yet and they have certainly tried. After the initial announcement in Canada about the visit, it has been pretty quiet in the Canadian press. Here the news is still the Olympics. I suspect that Trudeau got many complaints about the taxpayer cost. After all, Canadians don’t view the British Royal family as anything but strangers. Sure there is the historical connection, but they don’t sound like us (also can’t speak French like many of us can) and they don’t share the same culture. We have far more in common with Americans than Brits. And when CBC tweeted details about the visit, the comments were mostly negative. Thanks Nic919 I was very interested in your comments. As a Brit I find it very strange that in the 21st century the British monarch is HOS of such huge economies as Canada, Australia and NZ. I think the Comminwealth is a power for good, but that doesn’t require Charles to be your HOS. I think when the crown passes on changes will be made. That is not my choice of course, I imagine each country will have a referendum…. And trust me we know all about those in Britain!! The head of commonwealth isn’t a hereditary post. It’s not even held by her by right. The reason she holds it is mostly sentimental voting and perhaps the view that she’s a better neutral party than other heads of state would be or perhaps sheer laziness on the part of the other heads of state who would have to campaign to be voted in as head. The British Monarchy keeps spinning likr tge position is hereditary and that she holds it by right when both those things are not true. The Queen and Charles are campaigning, and have campaigned for years, for Charles to be voted in as the next head after the Queen is gone, but it’s not a done deal nor can they take it for granted that the affection the others heads of state hold for her will transfer to Charles. I’d guess that it is out of deference to the Queen, and not wanting to campaign against her that stops others from nominating. She and Charles are cynically using that to propel his chances as well using their positions to knowingly spread misinformation. In the immediate instance, it would probably work; Charles would be voted in out of sympathy and in memory of his mother. On good note, it’s important that this series get the support it deserves and well Kate is doing some kind of work but actually that’s it. It’s not a bad message but also not something special or something which stays in mind. I feel like a bit like I heard all of this before and looking at her engagements for mental health, I can’t really take her interest seriously. Nic919: you’ve summed up everything that I was thinking 🙂 as a Canadian with no historical ties to UK, I don’t see the point of a British head of state, who has no idea of the Canada of the 21st century and not involved in our day to day governing. As a hard working person and one who has consistently worked in paid employment since I was 16yrs old, I find the tax-payer funded luxury that the lazy WK live in and feel entitled to, to be a complete insult. Yada yada, blahdy blah. She says nothing useful, just the usual rote. Get help for the kid early? So, What. Are. The. Signs? What about the parents’ sense of guilt that might prevent them from getting help for their kid? Her words are so freaking empty. Aaaargh. The Canada trip- we’re paying for their luxury holiday and it’s offensive. My head will explode so I won’t be following any of that. I also don’t think most Canadians care at all. Does Trudeau need the photo op? What a ninny (I think he has too much of his mother’s traits and not enough of his father’s). Do people know this privileged trust fund baby was quite feckless until he went into politics? I’m not impressed, though anyone is better than the Conservatives and The Evil One. The sheer cynicism in this upcoming trip- to pretend it’s ‘work’. When will it end???? I must say that whenever I read Kate saying that if George and Charlotte ever need help she will seek it, I hope this woman to two young children and therefore at a very early stage of motherhood would be more humble. The truth is that one does not always recognize when your kids need help, and kids can even keep things from their parents. It doesn’t make you a bad parent, but it happens, and you can only hope you are sensitive enough to recognize your children’s needs. I know psychologist parents whose children have had mental health issues, and I know they’ve taken parenting very seriously. So what I’m afraid of is that the merciless public won’t hesitate to beat Kate with this stick if her children ever express issues people regard as “unsolved”. I don’t want such a thing happen, I only hope she’d be more humble and understand how complicated parenthood can be. If Kate actually raised her own children (I don’t think she does), then she would know pretty quickly that parenting is complicated. I’m certain if Nanny Maria had to make this statement, she wouldn’t sound like an “arrogant, know-it-all”, lol. My eyes are wide open when it comes to JT. I mean, he has really great hair…but he’s just not ready😉. I don’t know much about his policies yet but I do give him some credit for either great pr, the faboo hair or I’m just older and wiser but as an American who follows current events/politics and knows who several world leaders are/were, I’m embarrassed to admit that I couldn’t tell you who the PM was before him. I actually followed his election. Sadly, its a lot of PR. Thanks for the article! His marketing is working and as the article mentioned some brands are easier to market than others. He’s young, energetic, relatively good looking…I think for the first time many Americans could finally tell you who the PM of Canada is. I applaud that Kate (Rebecca) released a statement supporting the pod cast. I detest the constant use of “my work” because everyone knows she absolutely does the least amount of work she can get away with. Well most people do and more are awakening to that reality. When I read about the Canada trip on DM I was disappointed for a minute then realized that it is pretty much all we’re going to get out of William and Kate. They are not really there to promote GB, they are vacationing. They are working their way through Kate’s marriage wish list and this time they are taking the kids to use as an excuse for the lightweight visits. Who’s going to yell at them for taking George and Charlotte to the zoo to see the cute little animals that were named after them? Who’s going to be upset because the parents wanted a day or three off to spend some private time with their family while they are on a working tour? 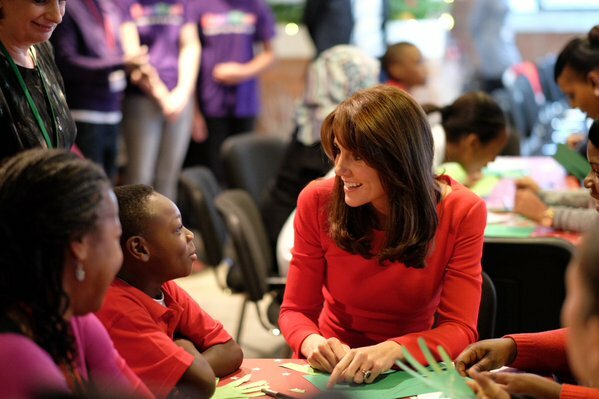 It will also give William a legitimate reason to tell the press to back off because they could upset the kids. I honestly believe these are the thoughts that go through their minds when they make their decisions. Also, they really, really missed the kids during the India/Bhutan vacation. I’ll have to check out the pod cast later. I’m sure it will be very well done coming from the Anna Freud Centre. I wonder if Kate actually listened to them. Sorry to be so down on Kate, I’m just so disappointed in both William and Kate with nearly everything they do. CP Mary was only there for a few days and then went back to Denmark – the swimmers best chance to meet her will be if there is a reception back home after the event. Yeah, that’s what I was thinking of. Max is in Rio and I wonder if any of the Dutch athletes have gotten to meet her? Yes, WA, Max, and the A-Team are back in Rio. They had a party on their rented boat yesterday for the swimmers. Mistake, not swimmers. Windsurfer Dorian van Rijsselberghe. I just loved some of the DM comments asking: “Why can’t you and your kids tour your own country?” Wish I could give them a hundred green arrows. Maybe one day the UK might get a Royal Tour eh? + one million. They barely do anything in the UK. Both they and Harry prefer exotic places and that built in “working holiday”. Excuse me but don’t lump lazy Will and Kate with Harry. Harry works very hard. Yes, but Harry also prefers to work in Africa, not the UK. Harry does a lot of work in the UK, most of which is not reported in the CC. Cannot have his numbers higher than William’s, royal PR will not allow that. The 2-3 days a week at the rehab facility is rarely reported but he’s putting in time there every week. Right now, he’s on vacation, working on anti-poaching in Africa and his HIV/AIDS charity. That’s how he spends his vacation. If this podcast reaches one person and they get help, then I call it a win. I find her reference to her “work” is laughable. Kate needs to work. Don’t have Rebecca send these blah releases. I am interested on the Canadian tour. I hope they bring G&C because they want to, versus the need for PR. I hope beyond hope this isn’t another jaunt. If it is, they will play a huge hand in their own demise. Thank you, KMR, for highlighting this topic. Depression is something that I’ve lived with for years. I’m glad that initiatives like this helps remove the stigma. My only hope is that W+K are more cautious with their message. Oh Rhiannon, I love how filled with hope you are. Just when I feel that I can’t be anymore cynical or judgemental about these two, it’s uplifting to read a kind and hopeful comment. With all that you have going on with your own health, it’s inspiring how positive you can remain about others 🙂 Thanks! I think they’re bringing the kids for PR, their own and Trudeau’s. A 3 year old and 1.5 year old aren’t going to get much out of this. Not more than they would get going to a local wilderness area in the UK, with far less trouble for everyone. Bringing along the kids makes for twice (or more) the hassle of them traveling without them. Security alone will be much more costly, both for the UK and Canadian taxpayers. The children are increasingly brought out as PR props, in this case, to quell criticism expressed by the Canadian people about another tour. Their presence sates people’s desire to see them, for sure, and plays into the argument that the children need to ‘get used’ to their position. That position will most likely change radically if not disappear altogether. I agree that George and Charlotte are far too young; similar outdoor experiences could be provided to them by their family, privately. I’m sure they are, with working farms on various estates, wonderful country to explore at Balmoral and so on. I don’t buy into the sop that W+K would miss the children too much if they left them behind, but then, I never bought into the hands-on parents story either. Have they learned nothing from the reaction to the India/Bhutan tour, that it was too light on duty and far too heavy on entertaining William and Kate? Any father who ditches his children on Easter weekend for the wedding of an ex-girlfriend is not in any way a hands on parent. Especially one who doesn’t have a full time job. 🙂 more like a deadbeat dad LOL! “Any father who ditches his children on Easter weekend for the wedding of an ex-girlfriend is not in any way a hands on parent.” Yeah, I found that to be extremely odd as well. It was Charlotte’s first Easter and the first one George could really participate in. I actually think it says how religious they are more than anything else. Rhiannon: I gotta echo that your optimism and positivity is awesome! I hope you are steadily getting better. You’re so positive! I wish I could be about W&K. The Canada tour will be fun to snark about and I admit to see cutie pie George. I like seeing that little guy. He’s precious. I thought the Canadian trip might be done to try and redeem themselves from the bad press about the India trip being light on substance and more of a free trip for them. It doesn’t sound like it tho. I saw the article about them mooching off their acquaintances’s places and it made me laugh. I have a friend that falls into to uber rich category and she’s the cheapest person I know! I think that W+K engage with ‘royal duty’ on their terms aka “make it fun for us”. KMR — I want to point something out about the royals “working” in late July/ August. First Camilla and Charles attended the show on THEIR estate. They live in the big house. So pretty much, they got dressed and got in the carriage and hung out on their estate. Not unlike Anne who does the horse thing on her estate. Second, William and Kate are spending in Luton which is about a 15/20 minute helicopter ride from either of their houses. So pretty much the way “we” take a day off work to relax, “they” take a day off from relaxing to work. I was a little bit surprised at the accolades for Charles and Camilla for basically coming out of their house to enjoy the show on their property. And if I’m not mistaken – it was the same week Will and Kate left the area to go to France. Don’t Charles and Camilla live at Highgrove? They would need to travel to Sandringham to partake of this event. William and Kate live on the estate, at Anmer, so had they not been on holiday, it would have made more sense for them to attend? I doubt whether they’d want to, given their MO. I think technically they live where they work..ie Clarence House in London. Charles is now running the private estates , so Sandringham, so I assume he has to spend time there. Attending the village fete is what most of us do on our day off. Thanks for the info, Lady Blue Ribbon and Birdy. I knew Charles had taken over the estate management role but thought he lived elsewhere (Highgrove and/or Clarence House) and visited Sandringham and other estates, as required. If he stayed at Sandringham, he could presumably have greater access to his grandchildren regularly which does not seem to be the case. I don’t think Charles lives at Sandringham except when they are there for the holidays. He has CH, Highgrove and Birkhall. Yes, they live at Highgrove and Clarence House (and her sometimes at Ray Mill). He’s taken over estate management of Balmoral and Sandringham, but hasn’t moved to either of those estates. The accolades were for their being engaged and giving something back. Their engagement can’t simply be reduced to *their* pleasure. It’s not the travel time that constitutes ‘work’. Showing up at fêtes is part and parcel of the bread and butter work that keeps the BRF (and in the past, aristos) afloat. Noblesse oblige and all that. On the other hand, the Cambridges lazily hitch copter rides all the time, to show up in new clothes, accessorised with surliness, boredom, patent disinterest, and often, ignorance, for a brief moment. Unless of course they’re sailing with the uber wealthy and gorgeous. Sad they just bring out the children for foreign PR and rarely show them about in the UK. This tour is, as usual, nothing more than a holiday wrapped up in taxpayer dollars. The freebies don’t surprise me. So many stories of W&K during the dating years with William whining he was oh so broke, give him a free holiday please! and everyone acquiesced to his every wish. I remember a story of William complaining to the owner of the Mustique villas he couldn’t afford it; they said well, how about donate to charity and we’ll let you stay a week; he took them up on the offer, never donated to charity. They got an invite to the wedding of course. W&K are nothing more than celebrities funded by the taxpayer. Such a shame when you have an ability to do so much good. Their PR machine works well, though: so many people think the sun shines out their rears, that they’ll be such a good King and Queen and should leapfrog C&C. Not surprising she couldn’t visit the Anna Freud Centre. C’mon Kate. It’s not so hard. A message written by your staff? ‘Your work’? Good Lord. The BRF have rorted the system that favours them for a long time; it’s not just confined to these two numpties. And yet, I thought the BRF was not supposed to accept gifts? I guess it’s all in the interpretation of some mighty loose language. • The RR brand very much on display at the Queen’s 90th Windsor concert. Apart from being parasitic by nature and by nurture, W+K seem to need so much. Why? I am curious as to why these people feel that they don’t have enough, needing so much more than everyone else. Millions of pounds per year provided by taxpayers via Charles, luxurious residences maintained by taxpayers, holidays provided by ‘friends’, heavily ‘discounted’ goods and services. Yet, they don’t feel obliged to work in, at the very least, minuscule exchange for such privileges. I can’t discern any moral centre in William and Kate. Absolutely none. Fascinating to observe, and just as fascinating, why people support them. Are they such narcissists that they think what they do is acceptable? I assume so. And the Queen continues to stick her head in the sand and ignore it and let them do their thing, considering W&K are so popular for reasons unknown. Can you imagine letting Philip have a word or two with W&K? I’d be peeing my pants! AFAIK there is a Audi deal too for the BRF and Kate as a royal girlfriend got the perks through that, as did the Middletons. Cut-price luxury cars. Same as Pippa being gifted things and giving them to Kate, like that necklace. I find it all so very sketchy. I do like some members of the BRF, but W&K are easier targets I suppose considering they do so little. They need holidays from their strenuous holidays. My feeling is that the dysfunction of this family lies almost entirely in its being tagged ‘royal’. It distorts life to an intolerably high pitch, with self-worth determined by external trappings and the status afforded man-made titles.These mechanisms are corrosive to character. The narcissism is the glue that holds it together! Yep, W+K are easy targets because they are blatant opportunists. Just like William has tested his family’s tolerance (and won), he and Kate now test the public’s tolerance with their funding demands for two lavishly appointed homes, secretive lifestyle, non-existent work ethic, all while demanding privacy. If the Queen and Charles are guilty of being weak, so is the public. But the public is consumed with the tasks of living and working, playing scant attention to royalty in the scheme of things, and then, distracted by the theatre of it all. The Queen is like any other senior member of a family; she wants to shore up its finances and status. It’s just that there’s more at stake. She’s been appropriating funds earmarked for building repairs, as well as successfully lobbying to being excused from compliance with the FoI Act. I think someone else here pointed out that by moving out of BP and it being utilised for other purposes, it would free Charles of the responsibility of funding repairs. BP would revert to the state to fund. It was not that the Queen neglected it; she chose to use the money already allocated to repairs for other things – I think refurbishing W+K’s apartment was one such reason. Taxpayer money would need to be found (again) to repair it. So it’s just cunning on Charles’ s part. Someone with far better knowledge than I will correct me if wrong. Well said, Jen. I believe that it all comes down to a godlike sense of entitlement and power. In Willy’s eyes he *should* be given everything he wants and revels in the power when even the super rich and mighty tug a forelock. He can bend anyone to his will (and don’t we have lots of proof, BRF). He believes his very being and presence is enough compensation and bestows greatness on others by proxy. To Willy, his greed is a blessing to the the peons, which means everyone. BTW, they’ve taken to wearing Ray Bans as well. I wonder if there’s a deal there as well, so bourgeois. I think the Ray Bans have been around for awhile; Pippa sports them too. It would not surprise me if a deal had been struck. Shameless. My goodness, William must be on the juice! Completely delusional, completely out of control. I suggest sitting him down in a locked room and piping in what the peons think of him. He might be there for a while. Re: Kate’s message on children’s mental health, I laughed when I saw the headline on Yahoo earlier today. It’s amazing how much she strives to remain relevant, especially after one of their sneaky, expensive trips; she’s so very transparent. And, now that she’s finally found a topic that she can include William, George and Charlotte, while simultaneously garnering a lot of attention for herself from the press, thereby promoting her as a caring mother, it’s obvious that she is going to beat it to death. I don’t suppose that waity is aware that children’s mental health/emotional well-being was brought to the forefront by Dr. Benjamin Spock, and many other child psychologists, over some 50 plus years ago? I had to read and re-read her comments twice, especially the second paragraph, whereby her thoughts on the matter are poorly expressed. As a matter of fact, the entire message is like a hodge-podge/mish-mash of random thoughts just carelessly thrown together, and devoid of passion for the cause. I can’t believe this woman has a degree, plus a staff, and yet, such a poor quality end product is proffered. Her use of the word “throughout” second para., gives one the impression that she has actively worked on this topic for many years and is speaking from a wealth of actual experience. Kate should look at hers and William’s behavior whenever they have to put in an appearance at the unglamourous *work* related events. On those occasions they present as a duo that’s present in body only and are in the depths of depression. They should seek mental health intervention for cause of their unwillingness to work. I can’t help but wonder whether Kate’s speaking from experience, e.g., her unsociable tendencies which perhaps weren’t addressed by her parents because they were too *scared* to ask for help, and thus, not having to face the stigma. Furthermore, Kate’s mention of parents being afraid to ask for help, conveys that parents *are* aware of their children’s problems. Sometimes, parents are the last to know that their child has a mental health issue, because some kids are very adept at hiding their emotions. Additionally, the child may be unaware that he/she has a problem, thus, removing the parents out of the equation. If indeed Kate is concerned and passionate about this issue, I do hope that she pursues it with due diligence, and it’s not one of her flash in the pan ventures. However, only time will tell …..
As long as you are keen, everyone is snow blinded by such keening from special snowflakes.. From where is the origin of this term keen? Is it a noun, verb or adjective? How does one go about being keen.. I’m just stupid and need to be educated.. KP is using this word ?? Keen (adj) is originally from Old English, meaning “brave” and then developed c.1300 to mean “eager (to do something)”. I guess Kate forgot the ‘to do something’ bit. I thought ‘being keen’ In Kate’s case was a kind of delaying tactic, excusing lack of knowledge, and therefore criticism. I’m curious to compare all of her letters. I could be totally off, but it seems like all her letters read the same. I’m too lazy to look right now, but I wonder if she (well, more like her staff), copies and pastes the letters and changes the name she address the letter to. My other thought is she has a bank of pre-written phrases and she picks a few to put together. I say that because often times her letters aren’t very cohesive. I think that would make an interesting post. A simple word cloud would be telling. yes I agree. I couldn’t remember what that was called. Content analysis would be interesting too.. the research method I mean. Also, it would be interesting to find some old school writings of hers from college or “work” and compare with the same type of writings of their PR staff.. ie Jason and Rebecca. The second paragraph of the message is comprised of one, long, run-on sentence, which does not convey any substantive value. There is a website that did this comparison. She cuts and pastes from charity websites directly into her letters/speeches, from letter to letter, from speech to speech. One of her charities has more or less the same letter from her posted to their website every year. As she doesn’t top and tail her letters/notes nor does the text change significantly, it’s hard to ascertain when letters were written. You simply take the charity’s word that letter was written and sent when they publish it. Ditto her speeches. She’s put together a list of phrases, with one or two ideas, and simply parrots them from speech to speech using identical words or combination of words such that each speech, topic notwithstanding, gives you the de ja vu sense that you’ve heard it before. And you have. It’s hard to understand what all her advisors are being paid for. Even when they copy and paste there are often typos or poor grammar. Like you Jen I’m pretty disgusted with her. Herazeus, do you have a link to the website? I feel an infographic coming on. I’ll search and post. It’s not something i bookmarked. Thanks, Herazeus. Please don’t go to too much trouble. It won’t take me too long. I often feel i’m having repeated de ja vu every time i read any of her letters or speeches, so i felt validated to stumble on the website. I actually didn’t even bother reading the letter part because I figured it would just be the same key phrases put together from all her other ones. I am already expecting to see Amanda Cooke Tucker trailing along after Kate, ready to fix Kate’s hair before Kate appears out of the Canadian forest after a day’s hike or fishing trip! Aaaagh I wish she would go back to her old hairdresser or get a new one. Also learn from Sophie, if you’re doing physical activity it’s ok to have just a touch of makeup and hair up in a simple pony tail. People would have so much more respect for her. Do you think the whole ‘coming-out-of-the-forest-after-a-7-hour-hike-looking-perfect’ is because Kate can’t depend on the press to keep Photoshopping her to the nth degree anymore? She needs the makeup artist/hairdresser on hand to keep her looking perfect for the cameras. Kate prioritises her looks and body. 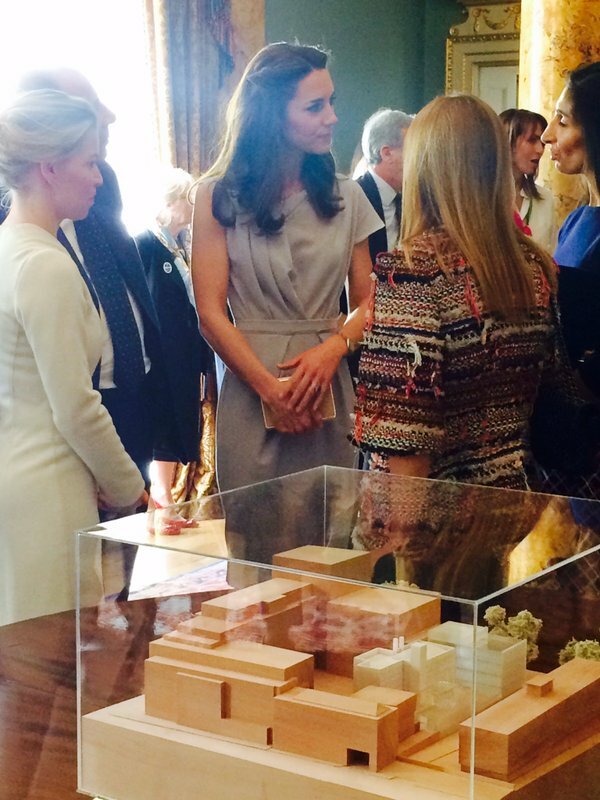 I agree with taking a leaf from Sophie’s book though I don’t think Kate wants to be seen that way. Old age is going to hit her pretty hard if she can’t allow herself to be pictured in a more natural state after a 5hr (?) Hike. It’s interesting to observe how people of both genders approach ageing. On one hand there is the often grotesque surgical attempt to stop time, and on the other, a choice to ageing graciously. I think Kate’s choice is made if she has a beauty crew on hand half way up a mountain in a remote country. Her choice was made when she undertook cosmetic improvements after 2007 break up. Prior to was carefree and not particularly careful of her personal appearance despite the ever present paps. I don’t know if it was the rumoured agreement (with Carole)of marriage as a condition of the make up or the insecurity of comparing herself with all the women William squeezed into the break, but she gave herself a make over using the cosmetic industry. From straightening and veneering her teeth to taking better care of her hair into the glossy mane it became to the eyebags removal and the first of the botox applications. I remember the Sunday times wrote about her intense self beautification routine as she waited for her prince. It wasn’t a flattering article because it pointed out what a waste her life was except for the daily/weekly beautification whilst being unsure if William would ever propose. My, botox at 25 years of age. And just waiting and waiting between beauty treatments. I wonder if Carole and Mike reflect on what their ambitions have brought upon their daughters? But it’s interesting, isn’t it? Such unrelenting drive to land William, a Middleton War Room of sorts, Uncle Gary’s bank roll, the schools, the stalking and then… nothing. There’s nothing in this woman. When it became obvious that she was doing nothing except waiting for that ring, i often wondered what she would have done if he had never proposed and moved onto someone else. I’d imagine the family would have re-grouped and they would have targeted someone else. Much like Pippa. 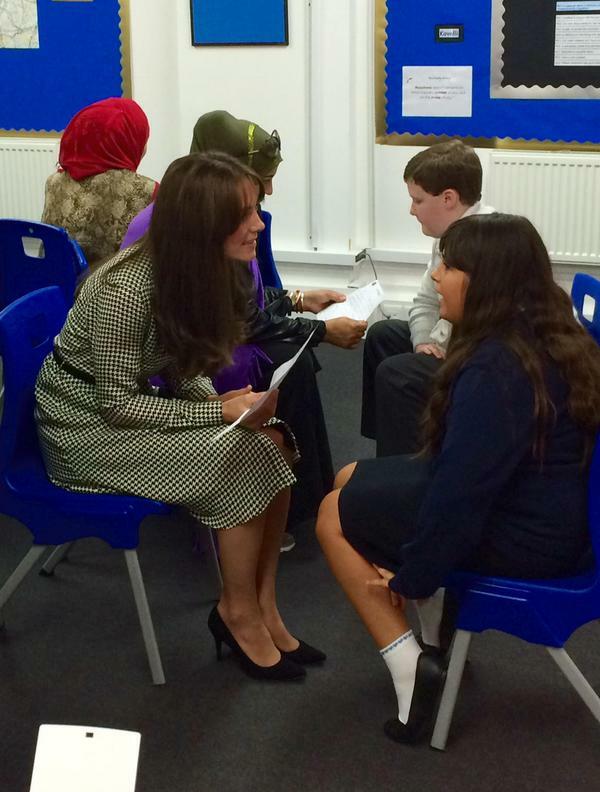 Difficult, considering the reach of the BRF in circles the Middleton’s wished to join. Wait, she’s already had something done to the eye bags before the marriage? Yikes! Combined with everything else she’s already done Kate is headed for a long and winding road of visits to her plastic surgeon if she doesn’t just accept herself. If she could just get a dose of Sir Ben every day she’d be glowing. It’s really a shame that she chose to go down this road and was supported and probably encouraged by her mother. I just hope Charlotte doesn’t think this is normal. As for what would have happened if William hadn’t proposed, the thought of the family regrouping and pushing Pippa just validates the whole Boleyn family comparisons. Lisa, I was unclear! I meant that had William not proposed, the family would have regrouped to target another rich man for Kate. As per Pippa’s campaign to find a wealthy and/or titled man. Jen, I didn’t mean to imply they’d push Pippa at William! Eeek, that would have been so wrong. It’s still very Boleyn-ish in their grasping for money and titles. This family creeps me out more with every passing day. I agree! I think Michael ward was the one doing great things with her hair. Now her luscious locks are just blah, her color is off, and her updos are so old lady. Richard Ward was known for doing extensions. After that was revealed, there was a public breakup with him and the salon (and him and KM). We all know she wears extensions so she should go back to him. At least for her color! Or find someone new. Always so bland and impersonal, despite the mention of ‘if ever’ the kids needed mental health support Kate would seek it. I’m surprised that ‘Not that they would’ isn’t in brackets after that sentence. Also, ‘In my work with’ is becoming the new ‘keen’. Nobody in her position writes their own anything. She and William really have horribly squandered their wedding goodwill. Presenting oneself as perfect sets up incredible expectations and burdens. The tone of the letter tries to be down-to-earth but misses the mark. I think Kate is naturally bland: ‘play doh’ is the perfect analogy as KMR pointed out. I loathe the use of, ‘in my work with’. What ‘work’ is that, and let’s be exact in unpacking it, shall we? Kate referencing “all” her work, made me laugh. What work? A few visits now and then? A letter motly penned by an assistant? Come on. I have suffered from severe anxiety for mots of my life and I will try to see what the podcast says. At least, it might help some people and that matters. As for bringing the kids to Canada, well, if it’s for PR, I am not for it. Just saying they all want to be together that the parents cannot stand being away from the kids smacks of publicity to me. Favorable press for a couple who are losing the battle to win hearts. Let’s hope that there are some working moments by the parents on this trip. And, let’s hope the poor kids are not dragged out there to gain positive ink at times when they just want to be left alone. Okay, just thought I’d post the link for HuffPo’s continued deification of Kate as mental health saint. Ugh! What drivel. Gee, you can tell the ‘quality’ of a journalist that simply parrots PR without question..
What bothers me most about that article is that it states (or strongly implies) Kate made these comments “during the podcast’s launch”. That’s not actually true. Kate’s comments were a press release, not a speech or statement she actually spoke. And there was no “launch” in the sense that it wasn’t an event where Kate said anything. They just did press releases for all of it. I’d like to called it ‘lazy journalism’ and dismiss it but yet again it’s a combination of deliberately misleading journalism and HuffPo being in KP’s pocket. The ‘article’ is junk but achieves its purpose by continuing the myth about Kate and her ‘work’. Was the rumors about Eugenie getting engaged by end of year garbage rumors or ones with some potential? Ok. Sorry I just really like the York Gals atm.. and I hope well for them. Fergie publicly denied it. Take that as you will. This bringing the kids thing is either gonna make or break the Tour I’m afraid, I don’t have high hopes but at least it will be more exiting than India, bless. There is not much wrong with the letter but not much brilliant about it either, as usual. Everything is as usual as usual. 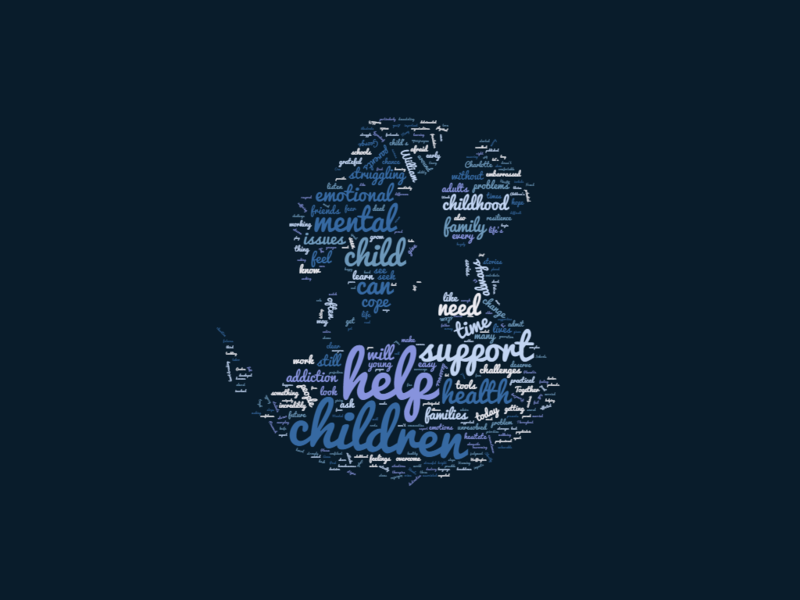 I couldn’t find Kate’s speech were she blames parents for their children’s mental health problems–you know, if you don’t have a happy, perfect childhood, you’re going to have issues–but I made a word cloud of the stuff I could find. I did notice re-reading these she pretty much does say the same thing over and over again, be it a letter or a speech. And the constant references to William, too. Really strange. Thanks for the link KMR! Wouldn’t it be wonderful if Kate hosted one of the podcasts? Perhaps interviewing a professional who works with children experiencing mental health challenges? How much time would it really take out of her day to do that? Not much, yet she would get such PR benefits for herself, learn something new about this topic and more importantly, bring global attention to these podcast series. They know they have to do pretty much nothing and get PR benefits. So, releasing some statement like this gets them the good PR and confirms the general person’s belief these two are great. :/ There’s no incentive when their PR game works so well. I have to agree with Ellie here. While (1) their PR misdirects and wins (2) the royal reporting pack does not offer intelligent critique of their subject matter, and (3) the public does not demand a lot more of them, there is absolutely no incentive for William and Kate to do anything much. It takes intelligence, research skills, hard work and empathy to be able to draw out an interview subject, navigating the twists and turns on one’s feet depending on answers given. Kate possesses absolutely NONE of these attributes. Nor does she care. I don’t know about hosting (since that’s Claudia Hammond’s job), but taking part in one would be great.